Twenty-four authors contributed to this book. It is the result of a dialogue between public actors and engaged economists; just likewise any issue that ought to be debated by the plenary of the Economic and Social Council. The subject matter is the object of the Council, which is the social dialogue. Though the General assembly was absent for a time, the Council, through this work, fulfilled its duties at best by guiding the public authority towards a national consensus on economic and social matters. It is easy to say, but one can only measure its extent after being aware that Roger Nasnas has pledged to submit all the thinking and conclusions of the book to public opinion criticism. Each topic of this book will be subject to an in-depth workshop with all the concerned parties or those who are able to shed light on the topic. 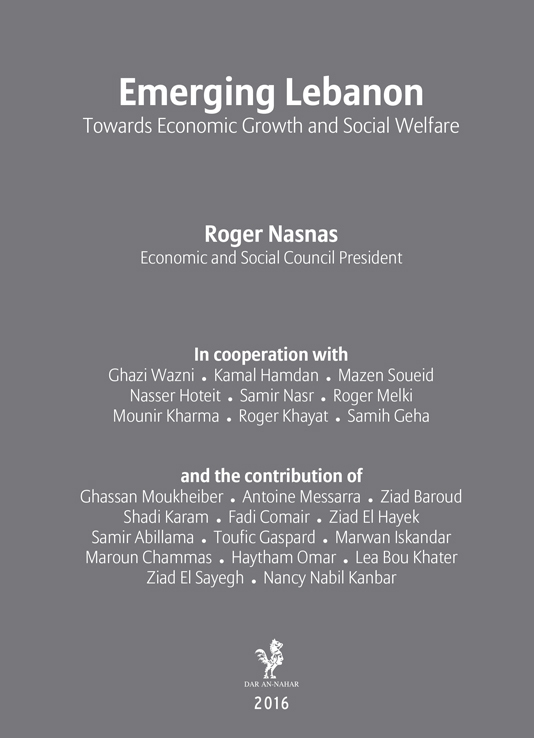 As such, this book is defined as an input to a project that should achieve social development and progress that Lebanon deserves.